As Megan handed me my birthday and Christmas presents last weekend, I could almost smell the goodness coming from inside the gift bag. 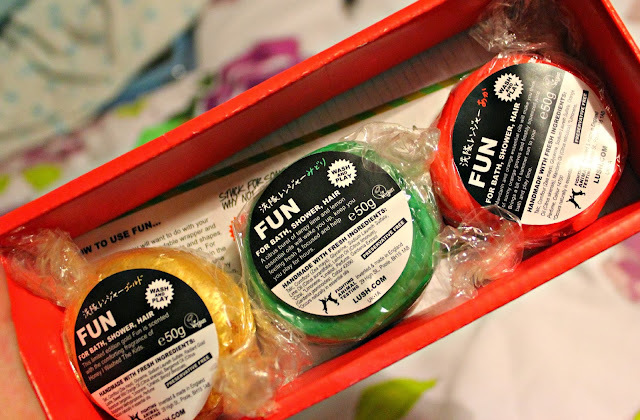 I opened (a very well wrapped) box, and was beaming when I saw that it was this gift set of mini FUN products from Lush. So, FUN can be used for anything, you can use it as a bubble bar esc. product, you can wash your hair with the stuff, or wash yourself with it like a chunk of soap, or even wash your clothes with the stuff. You can make things even more fun if you choose to mold it into shapes, and then use them in the bathroom. In the set, you get 3 mini pieces of FUN; green, red and gold. 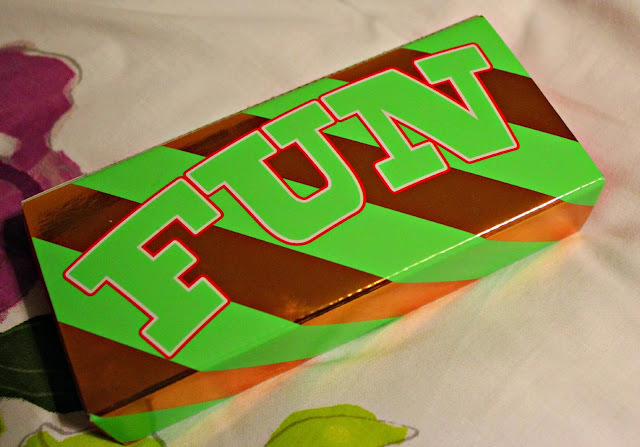 I'll start with the Green FUN, which smells extremely fresh, and lemon and lime scented. I just love this one and in the mornings for a good pick-me-up this could wake you up right away. Yummy. The Red FUN also is very fresh, and is also following the citrus route. This time though, this chunk has taken a rather zesty approach; slightly scented of oranges, so even more festive. Finally, this is the Gold FUN. This is the limited edition one for the festive season, which is a down-side, as this could be my favourite of the trio. This one is such a comforting scent, slightly milky, creamy, sweet, and with a hint of honey which just is delicious. Rumor has it, this smells like the Honey I washed the Kids soap, and so that could be my next purchase if can't track down another one of these. This is such a great gift set, and I seriously hope this makes it's way into the Boxing Day sales, and it'll be in my basket and on the way to my house in no time, as I can't get enough of FUN right now. That is such a cute set! These seem like great buys! hopefully I have a friend that gets them for me too! This is such a lovely present! I love how colourful the packaging is and anything from Lush is bound to smell amazing! I love the 'Honey I washed the kids' soap so I think the gold one would be my favourite too! 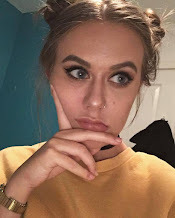 Your photography is gorgeous by the way- I'm going to read your 'guide to blogging photography' now!